When a vicious attack leaves 25-year-old Clementine Johns with no memory, she's forced to start over. Now she has to figure out who she was and why she made the choices she did – which includes leaving the supposed love of her life, tattoo artist Ed Larsen, only a month before. I’m fairly new to audiobooks, only having listened to a dozen or so. 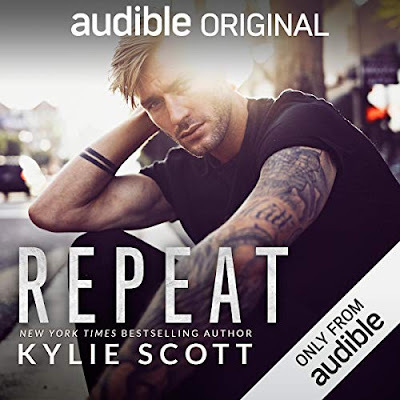 When I saw Kylie Scott was going to have an Audible Original, I couldn’t resist, even if the whole girl with amnesia set-up seemed a bit contrived. With help from Ed and information from former friends who do not always have the best intentions, Clem starts to learn about who she was and gets to decide who she is now and who she wants to be. In the process, she gets to fall in love with Ed all over again. Ed himself is clearly struggling with his own feeling and things between them do not go smoothly and I did enjoy the emotional ups and downs. While the romance and personal discovery are going on, the person responsible for attacking Clem and causing her amnesia in the first place is periodically causing trouble. Personally, I thought it was obvious who the culprit was but that didn’t put a dampener on the suspense side of things, which I thought was really well done. Repeat is a great story and Andi Arndt is a fabulous narrator. She reads the words in the way I would be hearing them in my head had I been reading. 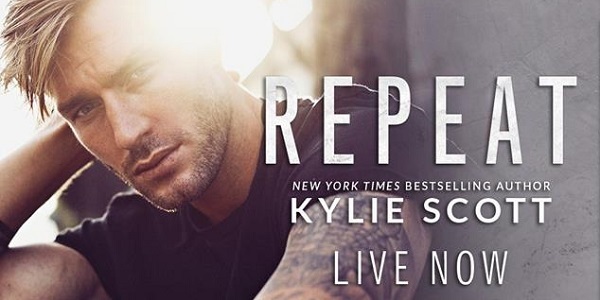 If you are a Kylie Scott fan but not normally a fan of audiobooks, I’d say give Repeat a go, you’ll get to hear an excellent story and you may end up an audiobook convert like me. The cool, calm & clear choice for your story’s voice. Andi naturally came into VO / Narration after years of extensive work in both theatre and public radio. She taught acting and Voice for the Stage at James Madison University for 12 years and has been an actor, producer, director and vocal coach for full productions of live theatre including drama, comedy, musicals and staged readings. To strengthen her teaching skills, she took the month-long Intensive at Shakespeare & Company in the Berkshires, where she learned about Kristin Linklater’s method of voice study. 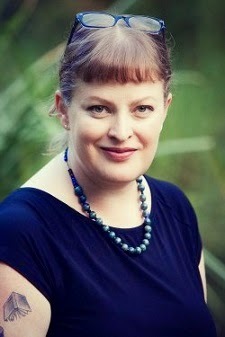 Andi then trained to teach Linklater’s method for several years, creating a solid foundation of technique that has served her narration work – and ever-increasing list of happy clients – incredibly well. With rare acumen, Andi intuitively understands the creative process of the writer, and has earned a trusted reputation for taking excellent care of every project she lends her voice to. To date, she has narrated nearly 200 books in both fiction and non-fiction. Her work in romance has earned her particular recognition, with nominations in the genre for both the Voice Arts Award and the Audie Award. Her recordings for children and teens have earned her glowing reviews in School Library Journal. Veronica reviewed her personal audiobook copy of Repeat by Kylie Scott, narrated by Andi Arndt for this post.